WHAT'S NEW WITH THE CX-5? 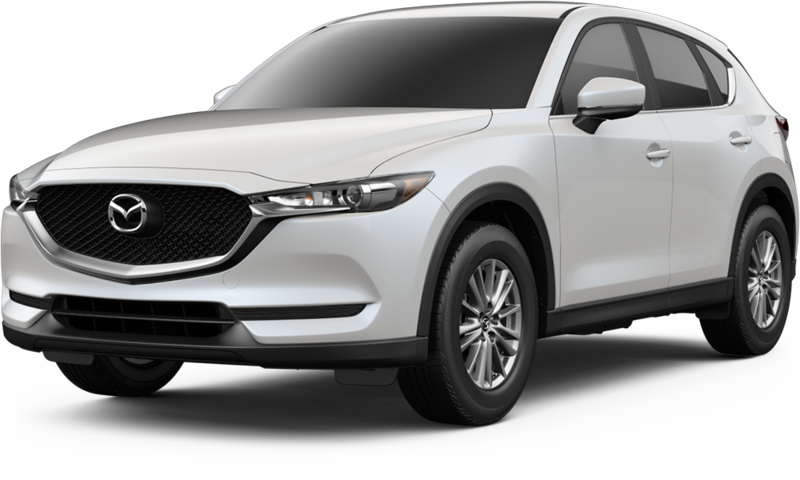 Mazda debuted an all-new CX-5 for 2017. The complete redesign tied in Mazda’s latest styling language, giving the CX-5 a sleeker, more polished look. Inside, the interior gets updated with improved ergonomics and nicer materials throughout, as well as the latest version of MazdaConnect with a 7.0-inch touchscreen as standard. The only engine choice is a 2.5-liter inline-4 with 187 horsepower and 186 lb-ft of torque combined with a 6-speed automatic transmission, that provides 25/31 MPG city/highway with front-wheel drive and 24/30 MPG in all-wheel drive models. The base Sport trim comes standard with 17-inch alloy wheels, MazdaConnect infotainment system with Bluetooth connectivity and a rearview camera. The Touring trim added heated leatherette seats, dual-zone climate control, keyless entry, and 19-inch alloy wheels, along with two additional USB ports (for a total of four). 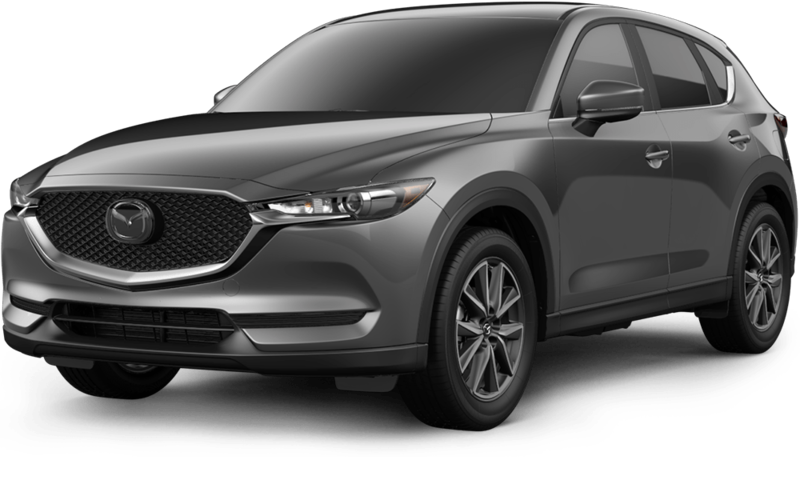 The top-tier Grand Touring CX-5 will feature power-adjustable leather seats with a memory function for the driver’s seat, adaptive LED headlights as well as LED fog lights and tail lights. Other features on the Grand Touring model include a Bose premium stereo, navigation, as well as a power liftgate and moonroof. A heated steering wheel, heated rear seats, and a head-up display are also available on the Grand Touring model with the Grand Touring Premium package. Navigation, Bose premium audio, as well as a sunroof and power liftgate can all be added to the Touring trim with the Preferred package. 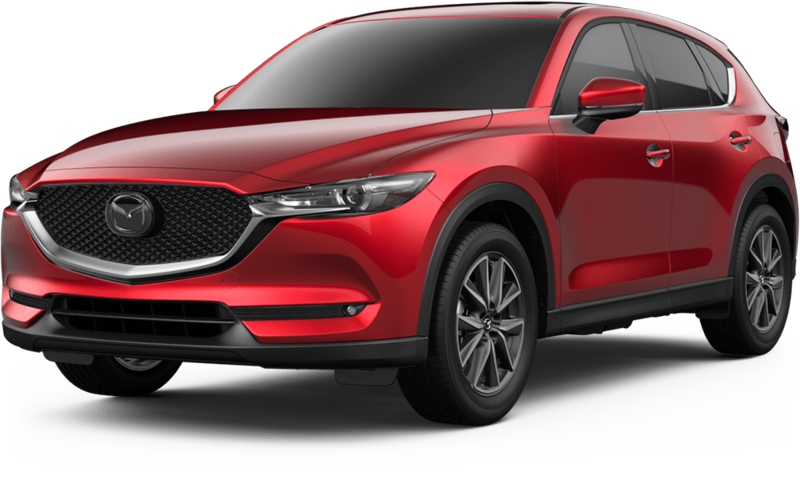 The Mazda CX-5 carries over into 2018 largely unchanged with the addition of cylinder deactivation to improve fuel economy. Mazda also upgraded the base Sport model with a leather-wrapped steering wheel and shift knob and added blind-spot monitoring with rear cross-traffic alert. The Touring and Grand Touring trims also gets these added safety features as standard, as well as adaptive cruise control, high-speed automatic braking, lane departure warning, and lane keep assist.